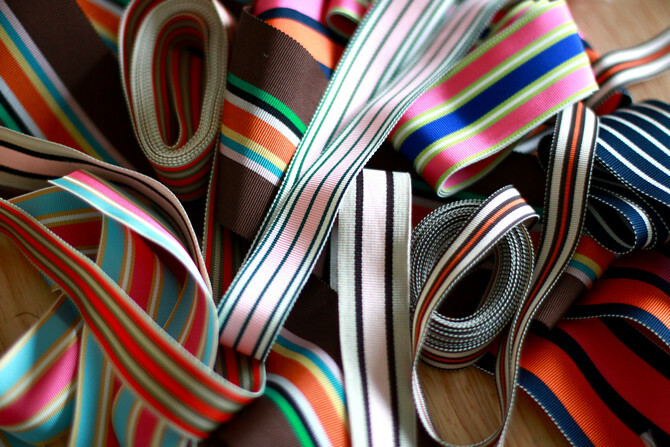 I love ribbon. I especially love the new ribbon from the PA Fabric Outlet I bought last week. While there I picked up some random accessories, like metal and plastic buckles. Some of this week's projects require some sort of buckle. You should be able to find these at any fabric store. Look around your house. What problems are there that ribbon could solve? 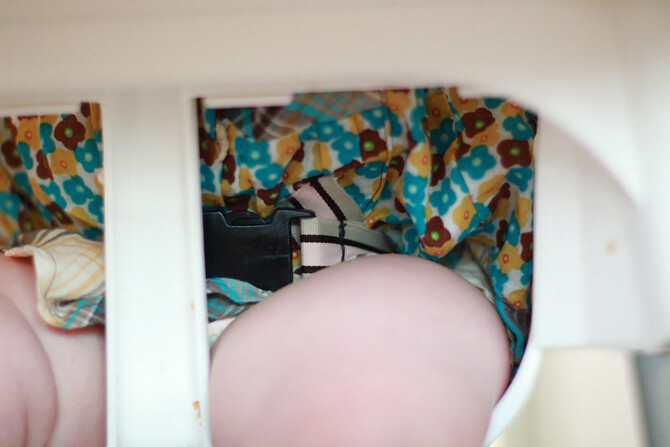 One problem jumped right out at me (literally) this weekend--the two strapless babies in their highchairs. In steps the ribbon. 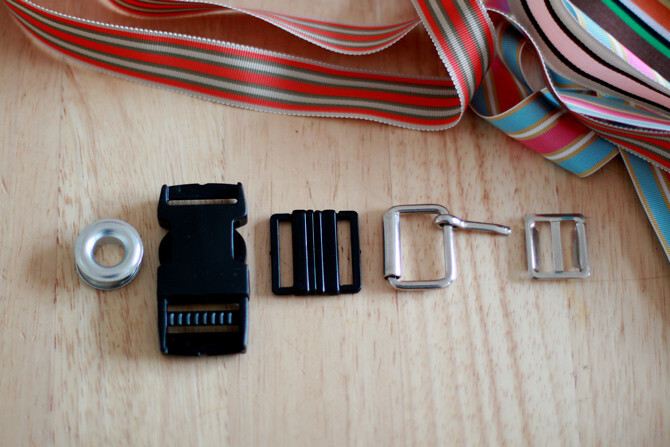 Here is a simple buckle strap tutorial that can be used for many things. Other ideas are at the end of the tutorial. Be creative. Decide how much ribbon you'll need to secure the child in the chair. Add about 10 inches-12 inches to that measurement. Cut the ribbon in half. Thread one end of the ribbon through one side of the buckle. 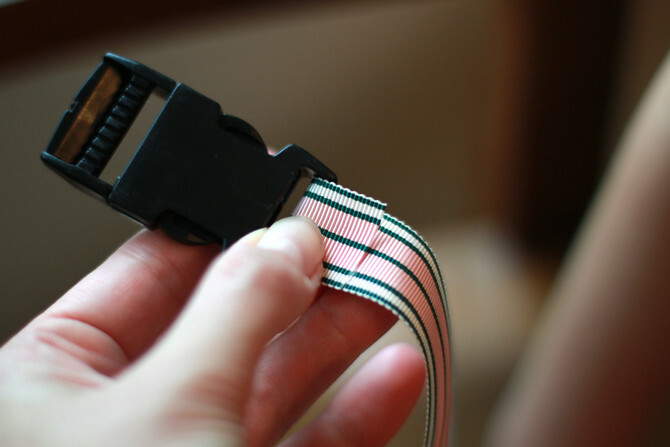 Sew a straight stitch (3 or so times) to secure the ribbon in place. 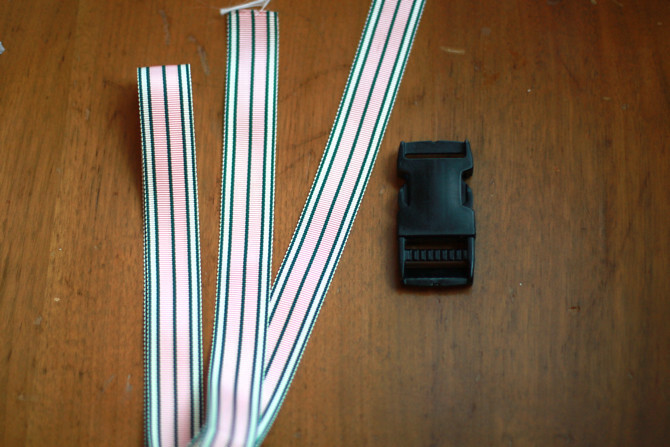 Repeat with the other piece of ribbon on the other end of the buckle. 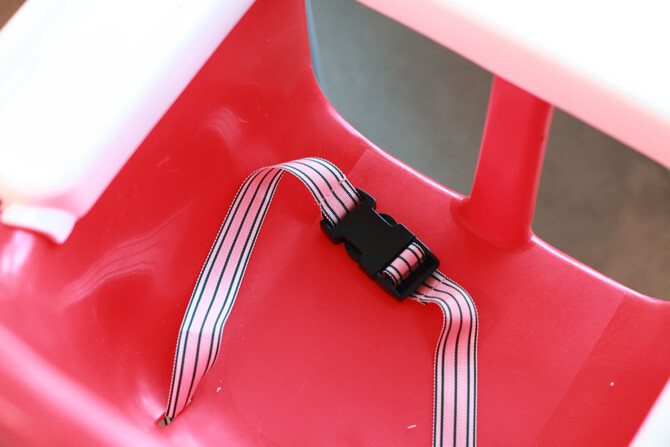 My highchair had slots to thread a strap through. 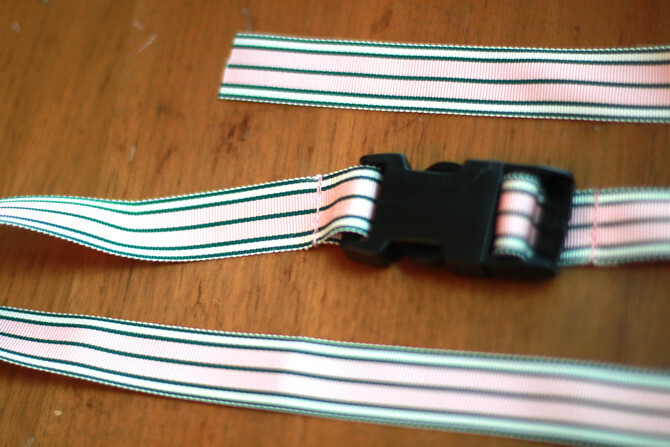 Thread each ribbon through its own slot. 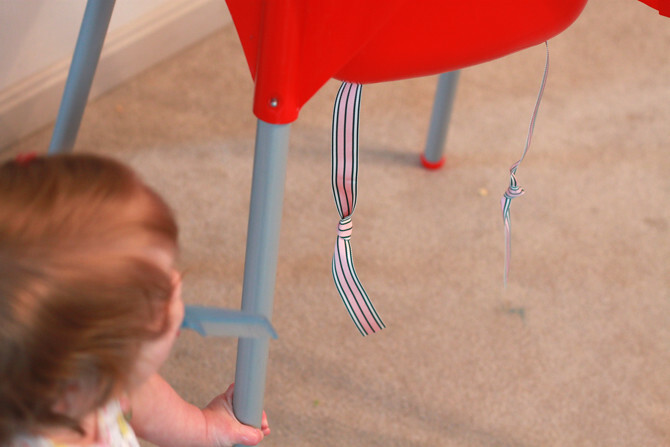 Tie a loose knot at the end of the ribbon which now hangs outside the highchair. 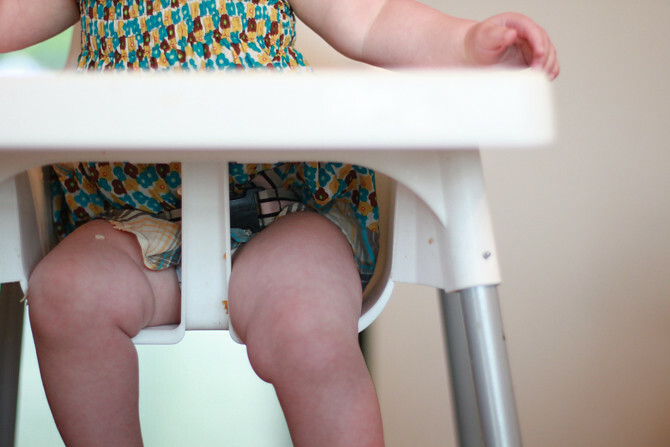 Try your baby out in the highchair to get the right fit. 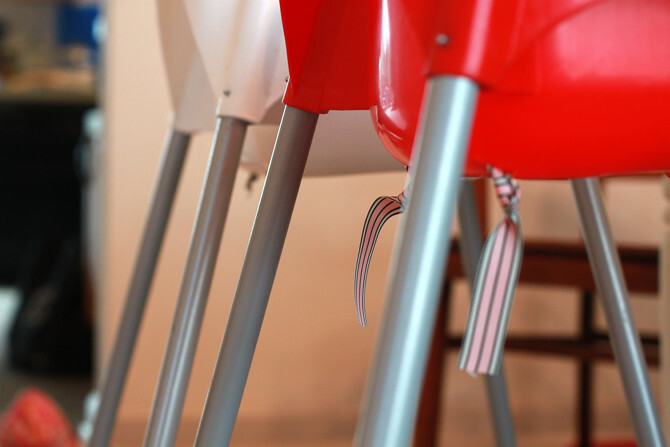 Simply adjust the loose knot, higher or lower, to create the right tension for the seat of the highchair. Trim ribbon if necessary. A little extra ribbon will allow for adjusting it down the road as baby gets bigger. I'd love to hear other ideas. 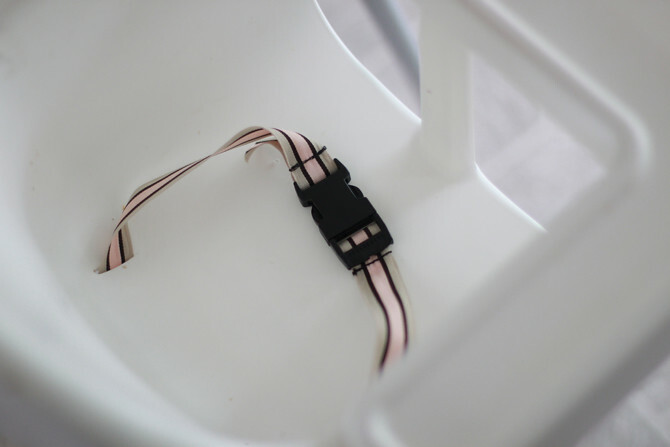 What else could you do with a buckle strap?